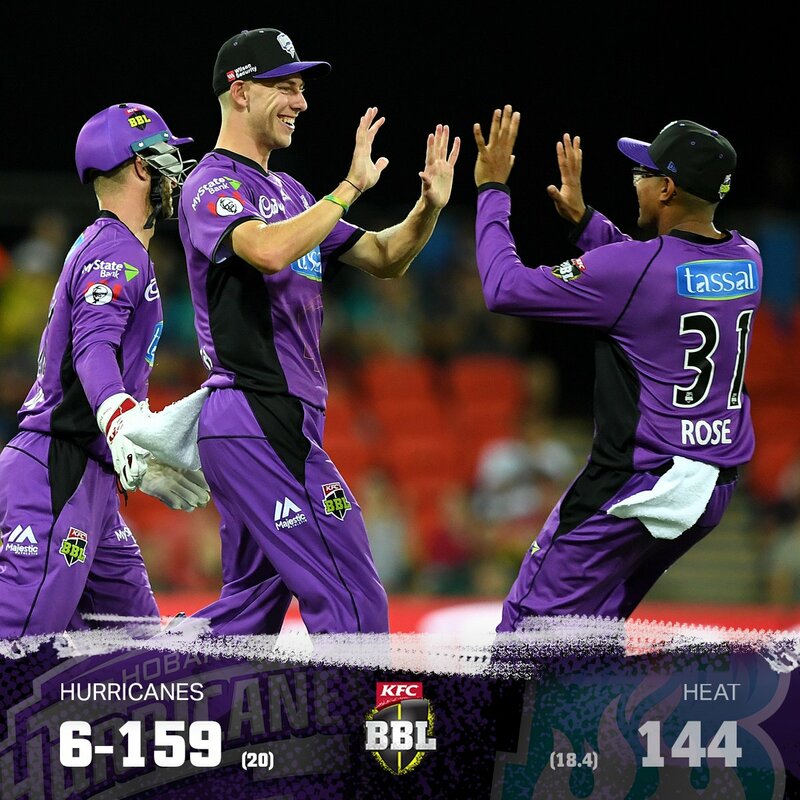 Brisbane Heat vs Hobart Hurricanes. Heat need 160 runs to win. 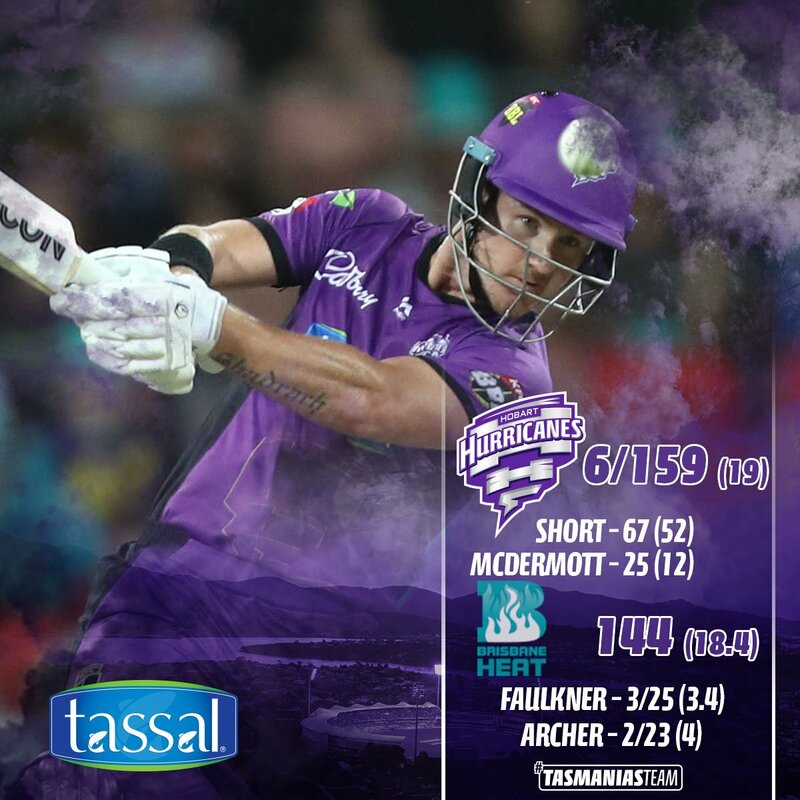 A half-century by D’Arcy Short has helped Hobart Hurricanes to reach 6-159 in their rain-affected Big Bash League clash with Brisbane Heat on the Gold Coast. 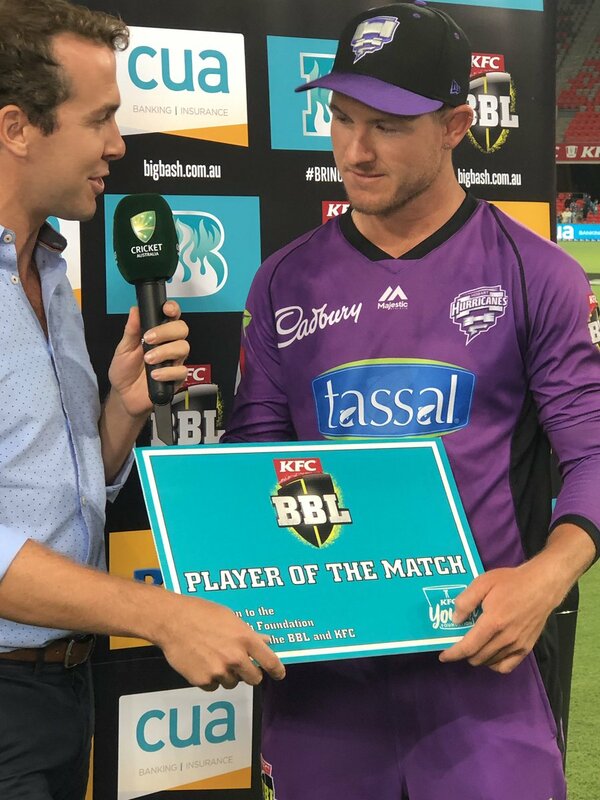 A watchful Short hit 67 off 52 balls - his seventh BBL 50 - after the Heat won the toss in a match reduced to 19 overs a side due to thunderstorms and hail. Short hit four fours and four sixes, sharing a 59-run third-wicket stand with Ben McDermott (25), who was run out yet again. McDermott was called through for a run by Short but was caught well short by Josh Lalor’s brilliant fielding at short fine leg. It is the sixth time in 13 innings in all formats that McDermott has been run out, at one stage suffering the fate four times in a row. Afghan spinner Mujeeb Ur Rahman (2-23) opened the Heat bowling with a mesmerising spell on a slow Metricon Stadium deck. Mark Steketee claimed 2-36, shattering Johan Botha’s bat in the final over. 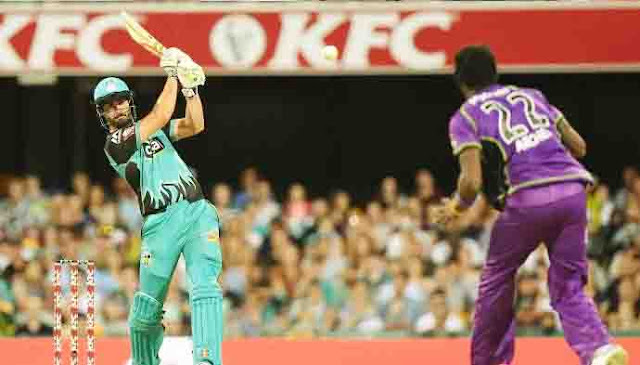 The match began 15 minutes late after Gold Coast’s Twenty20 weather curse struck again. Hail and heavy rain hit the ground an hour before the scheduled 6:00pm start for the first BBL match on the tourist strip. Light rain also fell throughout the Hurricanes’ innings. There was a sense of deja vu after last month’s first T20 international at Metricon Stadium was reduced to a 10-overs-a-side fixture when thunderstorms hit moments before the Australia-South Africa game was about to start. Brisbane are out to bounce back from their disappointing five-wicket loss to Adelaide Strikers in their BBL opener, while Hobart are starting their campaign. 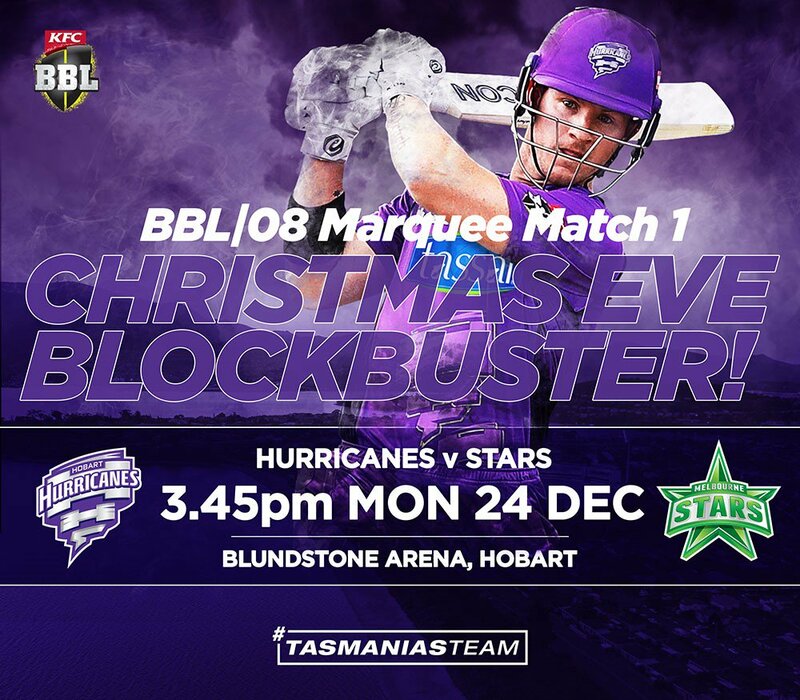 FINAL: The @HurricanesBBL's are crossing the Tasman and returning home victorious! 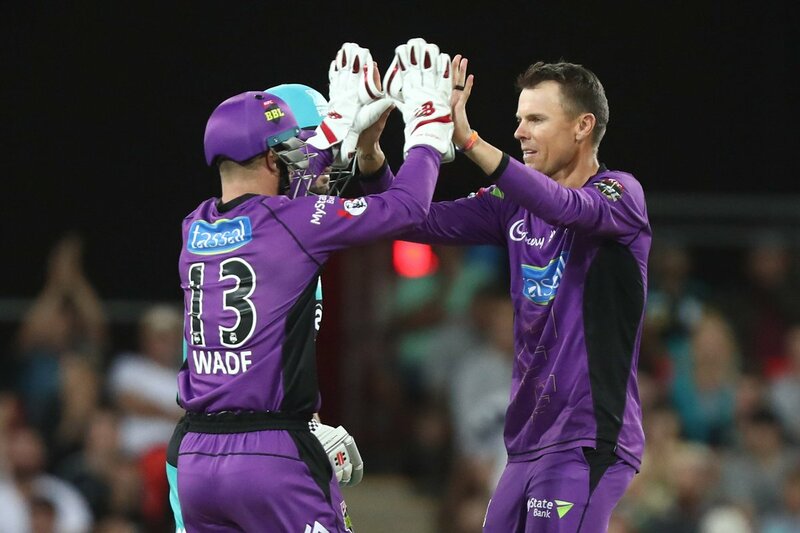 A win in their first game of #BBL08, as the Heat fall to 0-2.